This is a superb ground floor 3 bedroom apartment in Pinar de Campoverde with front and rear garden areas and an ex garage which now houses the 3rd bedroom. 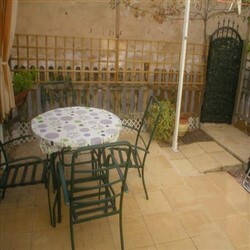 Walking distance to shops and bars. 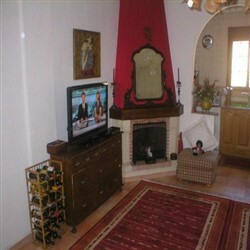 only 30 mins from Murcia airport and 15 mins from the beaches of the Med. Nice garden at the front plus patio/terrace at the rear. The ground floor apartment is priced to sell! From the road outside you enter the gate into an attractive easy maintenance garden then up a couple of steps to a covered patio/terrace area and on into the lounge diner. The lounge has ceiling fans and radiators as well as a real fire. To the rear of the lounge diner there is a well appointed kitchen with a door leading to stairs down to the rear patio and under build which has been done out as a granny flat/annexe and houses the third bedroom. The rear patio has an awning to keep the summer sun at bay. 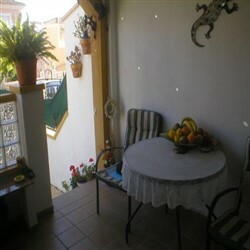 There are two good sized double bedrooms and family bathroom on the same level as the lounge diner and kitchen. 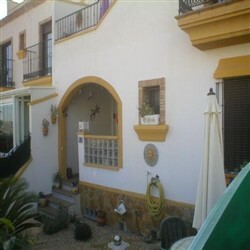 Pinar de Campoverde is a very popular urbanisation to buy a ground floor apartment. There is a private road which runs behind the property to the under build area. There is also a very nice communal pool area. This is a lovely property in a very desirable area and early viewing is strongly recommended.